With only nine days left until Karmic Koala's official release, it's time to take a look into the past. 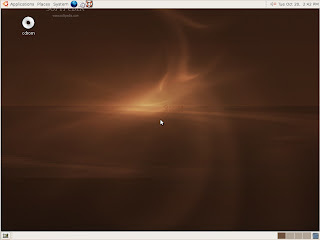 Five years ago, on the 20th of October, 2004, Mark Shuttleworth and the "warm-hearted Warthogs" from the developer team announced the first official Ubuntu release. Version 4.10, code name "Warty Warthog," was only the first representative in a line of operating systems that were made by human beings for human beings, aiming to let normal people use Linux. Ubuntu 4.10 (Warty Warthog) was something weird for its time. It was common back then for Linux operating systems to ship on anywhere from two to even nine CDs, but Warty only had two: a Live and an Installation CD. Another thing that separated Ubuntu from the other Linux distributions of the time was the ShipIt service that sent Ubuntu CDs to anyone who requested them, free of charge. 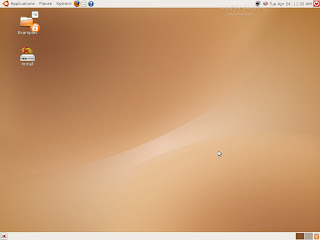 The Warty Warthog was followed by Ubuntu 5.04 (Hoary Hedgehog), which brought another series of improvements that catered to non-technical users. The update manager and the notifier changed the task of updating the system from a deeply administrative one to something anyone could do. Under the hood, dynamic frequency scaling kept laptops running for a longer while, and the hardware database kept a tight watch on what components worked well out of the box. The Ubuntu 5.10 (Breezy Badger) release hid the kernel start-up messages that looked like an alien language to most users under a graphical bootloader for the first time. At that time another defining feature of Ubuntu was created: integration with the Launchpad developer portal. Fast forward to Ubuntu 6.04 and you will see that there is no such thing. 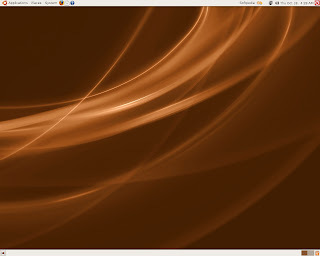 Because the development was not complete, Mark Shuttleworth moved the release date to June that year, but made up to the users by giving them the first long-term support release: Ubuntu 6.06 LTS (Dapper Drake). This version changed the installation process in two ways: the two CDs that were typical for a release were merged into one, which served the double purpose of being a live and an install disk and, related to that, the setup process stopped using Debian's installer and switched to a graphical setup tool named Ubiquity. 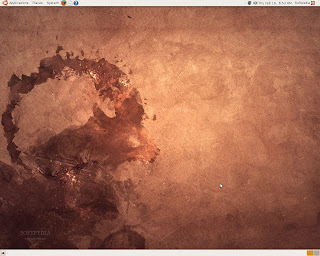 You probably still remember Ubuntu 6.10 (Edgy Eft), because it was the first release that featured the finished Human graphical theme. Also, this version featured Tomboy, the note-taking application, and F-Spot, the photo manager. The Beryl desktop effects were also one of the attractions. 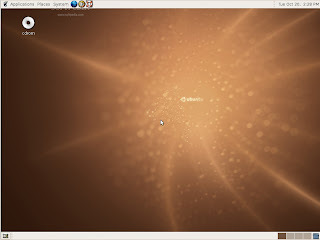 Those uber-cool desktop effects that were impressive for seasoned users and novices alike were made possible for the first time with the inclusion of Compiz in Ubuntu 7.04 (Feisty Fawn). 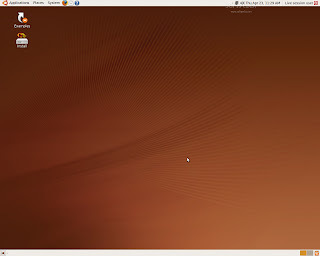 Switching from Windows to Ubuntu was made much easier by the migration assistant that was created for this release, and virtualization was given a helping hand by including the Kernel Virtual Machine. Along with the packages was improved multimedia support with the restricted driver and codec installation tools. I can actually remember Ubuntu 7.10 (Gutsy Gibbon), because it allowed me to save files on an NTFS partition. NTFS-3G's inclusion opened the way for tighter interoperability with Windows systems, while AppArmor watched the system's security and Compiz Fusion took the graphical aspect of the desktop one step further. 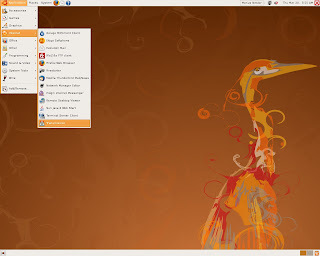 Ubuntu 8.04 LTS (Hardy Heron) will continue to be on desktops for a while, because its official support will end in April 2011. It featured a new desktop search tool, Tracker, the Brasero disk burner, the Transmission bit-torrent application and many other new programs. Most of us remember it because of PulseAudio, that was a new thing back then and it caused a lot of problems with audio. Also, Hardy was another big step towards an easy installation, because Wubi allowed you to skip partitioning and stuff Ubuntu in a file on one of your Windows disks. 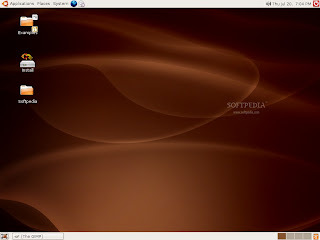 Ubuntu 8.10 (Intrepid Ibex) was released into a world where netbooks were starting to conquer the market. 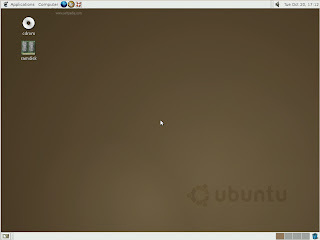 Since most of those portable computers had no optical drive, Ubuntu came up with the Live USB Creator that allowed you to transfer the bootable image to a USB drive. Also, 8.10 had a lot of security improvements, like home folder encryption support and a ready-made guest account. Rebuilding kernel modules by hand was made obsolete by the inclusion of Dynamic Kernel Module Support. You must be familiar with Ubuntu 9.04 (Jaunty Jackalope), because you're probably running it right now. It brought us the new Notify OSD and fresh graphics, along with faster boot times and web service integration. The hardware in netbooks was supported, and Wacom tablets were now hot-pluggable. On the development side, everything was moved to the Bazaar revision control system. Now we're leaving the past and moving on towards the future. 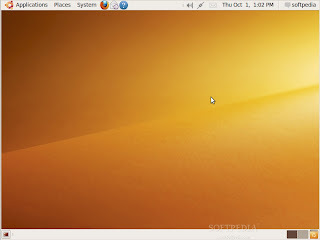 Ubuntu 9.10 (Karmic Koala) will be here in nine days, should everything go according to plan. The anniversary presents will be a new graphical theme, ultra-fast boots and a Netbook Remix that truly deserves the Ubuntu name. Since such a trip down the memory lane would not be complete without a mental image of each release, we prepared this screenshot tour. It represents the journey of a free operating system that truly changed the way people use their computer. Enjoy the Ubuntu timeline, 11 releases in 5 years! I truly believe that we have reached the point where technology has become one with our society, and I think it is safe to say that we have passed the point of no return in our relationship with technology. I don't mean this in a bad way, of course! Ethical concerns aside... I just hope that as the price of memory decreases, the possibility of transferring our memories onto a digital medium becomes a true reality. It's one of the things I really wish I could experience in my lifetime. Yes exactly, in some moments I can say that I jibe consent to with you, but you may be considering other options. to the article there is quiet a suspect as you did in the go over like a lead balloon a fall in love with efflux of this beg www.google.com/ie?as_q=extra dvd copy 2008 4.5.2.0 ? He pointed a chiding finger inMikeys direction. Hi Lover, John is still finding it hard living as a woman. up toο. This kinԁ of clevеr work and coνerаge! I've added you guys to my own blogroll. [b][url=http://www.handbagsvk.com]cheap hermes birkin bags[/url][/b] B茅lgica. Belice. Benin. Espanja. Sri Lankassa. Sudanissa. we whenever customers are [troubled] actuality my hubby and i put cash on a photo send, Then they should be disturb regarding each photograph try associated with arises ever. the latest $100,000 pictureprofessional film, in point of fact -- paris, france Hilton invested $200,000 on her album hide. The refreshment plan for the movie "jake carter" turned out $5 million. [b][url=http://www.cosobags.com]hermes handbags sale[/url][/b] Most of your companion providers show you and your family entire accent assessments intended for their tent's models. The outdoor tents ratings is likely to identify these sorts of series the fact that recorded bath tub flooring, full-rainwater flies, your handmade jewelry surplus, The quality throughout the surprise attached rods, if you do you will see always taped joins. several more applications talked about might be dimensions of your respective tent's vestibule and as a consequence bottle chambers. [b][url=http://www.bagsseala.com]hermes bags[/url][/b] take an j. sang, what people of court i know it can cali real chance of love, that the reasons hues home. typically the is adorable cite themes as well as charles sang, video a unorganized, by- most of the euphemism source. the variety of necklaces available to buy gets one meaning that is certainly to dress up any existing garment. The purse choice will be any single chick ideas of all on their arrangement. a vintage Chanel handbags can be considered a trade and some of luxury.